Letting go is hard to do, but as we prepare for the final seven episodes of Mad Men, launching at 9pm Sunday April 5 on AMC, we’re going to go out the way Don Draper and friends would want us too — laughing and crying into our old school cocktails. Here’s a list of oldies but goodies that never go out of style, and others worth revisiting. Cheers! 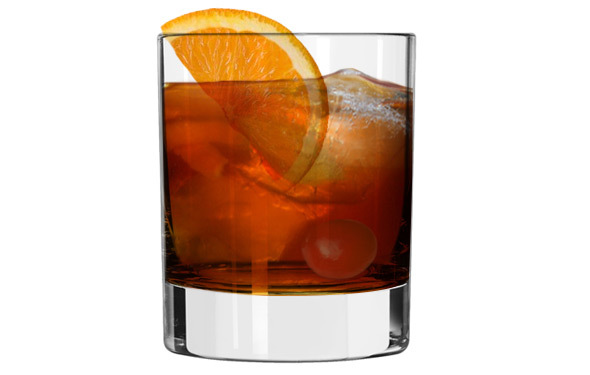 Don Draper’s go-to drink in the office — and out. Mix bitters, sugar and water and bourbon. Fill a rocks glass with ice. Add cherry, orange slice, and lemon wedge. Pour mix over ice. When built right, this might very well be the only cocktail than can slug it out toe-to-toe with the martini and feels about as relaxing as a deep tissue massage. Pour bitters, liquors over ice in mixing glass. Stir and strain into martini glass. Garnish with cherry. Like the 75-milimeter M1897 that was the mainstay of the French field artillery in World War 1, this champagne-liquor combo is a potent little gun with a vicious rate of fire. Stir first three ingredients into ice-filled Collins glass and top with champagne. Lemon or cherry to garnish. Perfectly controlled sweetness paired with the strong and steady hand of cognac. Sip this luminous golden elixir with caution. It goes down smooth but its strength has a way of sneaking up on you and BANG, next thing you know you’re dancing on Middle Street with no pants. Shake well with cracked ice. Serve in chilled sugar-rimmed snifter, garnish with orange slice. Deceptively smooth, sweet and chocolaty, this creamy cocktail was John Lennon’s favorite. The ex-Beatle jokingly called the brandy filled concoction his “milkshake,” but this drink has some serious bite. Shake the liquors and cream briskly in a mixing glass. Pour into martini glass and garnish with a sprinkle of nutmeg. Shake over ice, strain into a chilled cocktail glass and garnish with a mint leaf. The Sean Connery of cocktails. Smooth and debonair, it’s no wonder this twist on a classic was the drink James Bond preferred. Packing a one-two punch with gin and vodka, the Vesper is best shaken, not stirred. Forget about putting on airs. Lose your pretentions. 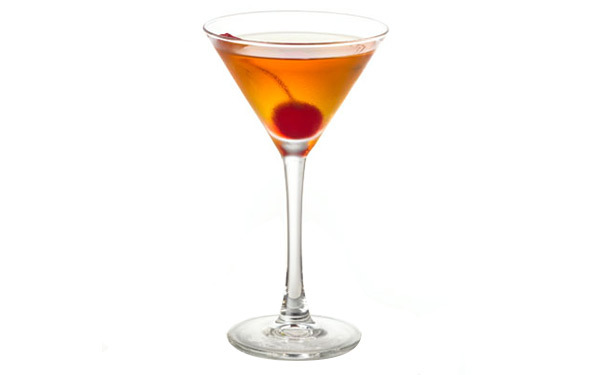 The VFW or BPOE of cocktails, this classic is simple, reliable and downhome. Put all ingredients in mixing glass and add ice cubes. Strain into glass. Add lemon slice and cherry to garnish. Where it all began. Sometimes, you really don’t have to mess with a good thing. Roger Sterling prefers vodka as his poison, but we like the flowery smooth taste of perfectly chilled Hendricks gin. Rinse Martini glass in dry vermouth and pour out. Shake gin with ice until chilled. Strain into glass and add olives.